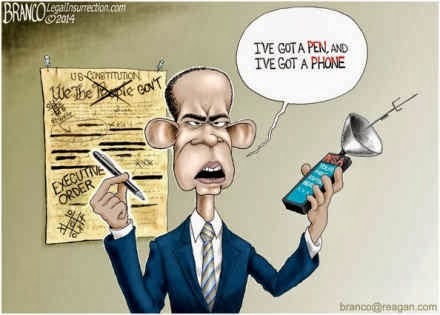 Obama has his pen and his phone. And he will use them! Cartoon from branco@reagan.com. (Yes. That's an email address.) Click to enlarge.